Hi, I’m Sarah, thanks for popping by! I’m always doing what I cannot do yet, in order to learn how to do it! You can get a pretty good idea of who I am by reading my diary post series ‘All Sewn Up’ (see in ‘Categories’) or from my Seamstress Tag and Blogger Award posts. 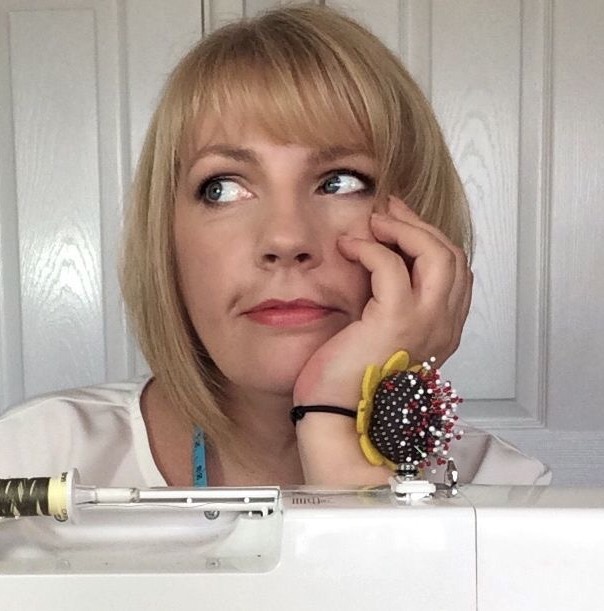 As well as blogging here, I post as part of the Minerva Craft Blogger Network and Co-Host the yearly #sewtogetherforsummer sewing challenges. You can also find me actively engaged with the Sewing Community over on Instagram. Join in there and say Hi, if you haven’t already! After a lifetime of wondering and wandering, I have settled and live with my husband and two children in the heart of rural Devon, UK. They are my everything.